You can't afford to miss this particular goodies coming on your way. The time to make cheap calls has come. 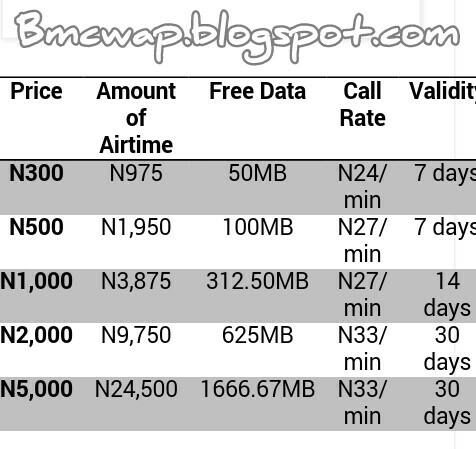 Just get your MTN sim ready for cheap calls on weekly, biweekly and monthly bases. MTN saw the need of introducing XtraVoice Bundle4u, just to see to the need of their subscribers. XtraVoice Bundle4U gives you a whooping 400% airtime and also free data on every purchase you make. The bonus airtime which is awarded on the purchase, can be used to call all networks whether National or International numbers.And it doesn't end there, you can still use it to send SMS to all networks. In the other side, the free data given can be used on all devices,( be it Android, Nokia, iphones/ipads, Windows, BB10, phones, and Laptops/PC) as long as the device has internet access. The Bundle4u is divided into two, namely Xtravoice and Xtradata Bundle4u. ==> Xtradata Bundle4u gives more of data for browsing. Unlike Xtravoice Bundle4u that gives more of airtime for call. The bundle plans will serve you well if your are such that like more of making voice calls than browsing. it is also suitable for non heavy-MB users. 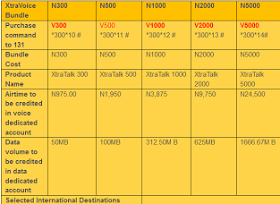 Below are the various bundle4u plans ready for you to subscribe for, For MTN XtraVoice Bundle4u plan, check their prices and offers. 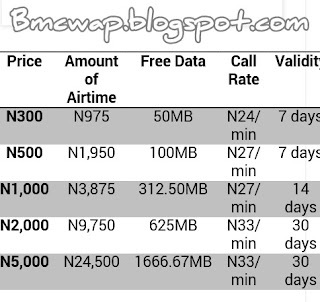 ==>And for SMS to all network, the charge rate is billed at ₦4. 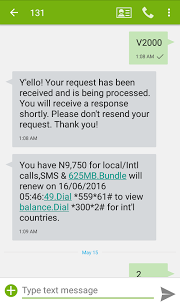 How To Subscribe for MTN XtraVoice Bundle4U? As seen from the yellow image above, send the particular right keyword to 131, if you want to subscribe for XtraVoice, for example V300 to 131. Then wait for MTN reply message whether it was successful or not.